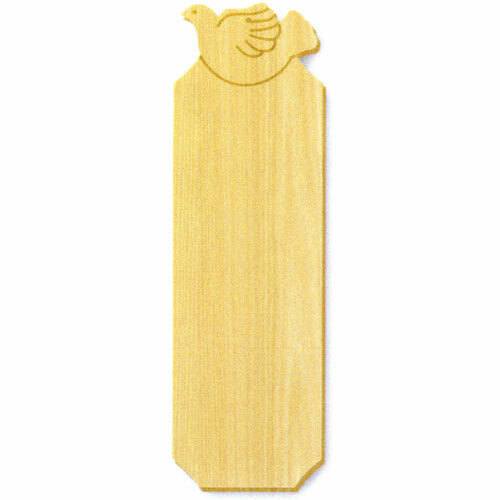 Members of sororities and community organizations who use the dove as an image to represent their organization will love getting this wooden dove paddle as a gift. For instance, Zeta Phi Beta Sorority, Inc). The dove is a symbol of peace, prosperity, serenity and freedom. Here we feature it at the top of this paddle flying triumphantly in the air. Upload an image to our Design Your Own tool that complements the image of the dove, such as branches of a tree. You'll remember what inspired you to aspire to become a member of your sorority every time you look at this beautiful dove paddle. Hang it at the center of an array of photos of you and your sorority sisters in your living room or den. * Each custom dove paddle engraves in one color and measures approximately 22" tall (almost two feet). Paddles can only be created for the groups listed.